French new-car registrations fell 6 percent to 171,879 in April with two fewer selling days in the month, industry association CCFA said in a statement on Tuesday. Taking into account the difference in selling days, growth was 3.9 percent. Volkswagen Group brand Seat's was the biggest winner among major marques with volume rising 21 percent, while sales at sibling unit Skoda rose 8.7 percent. Overall, VW Group sales fell 8.5 percent, hit by an 8.4 percent drop at Audi and a 15 percent slide at the core VW brand. Porsche registrations plunged 19 percent. Domestic brands were hit as Renault Group sales slipped 8.3 percent, dragged down by an 9.3 percent decline at Renault brand and a 5.3 percent drop at its budget Dacia unit. PSA Group's sales fell 5.3 percent with Peugeot sales down 2.2 percent and Citroen's volume falling 5.2 percent. Registrations of DS cars plummeted 42 percent. Kia had a good month with a 12 percent increase while Hyundai volume dropped 15 percent. Among other volume brand's Fiat sales were up 3.9 percent and Toyota registrations increased 1.2 percent. Sales at General Motors' Opel brand fell 3.6 percent, while registrations at Ford were down 6.4 percent. 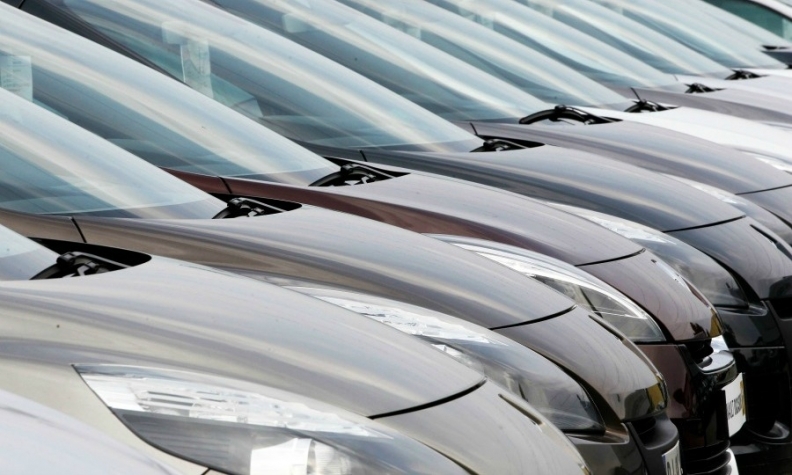 Following the release of April data, analysts Evercore ISI forecast French auto sales will fall to 1.88 million this year from just over 2 million last year. • Download PDF, above right, for April sales by automaker and brand. Through April, sales rose 2 percent to 712,933, the CCFA said.